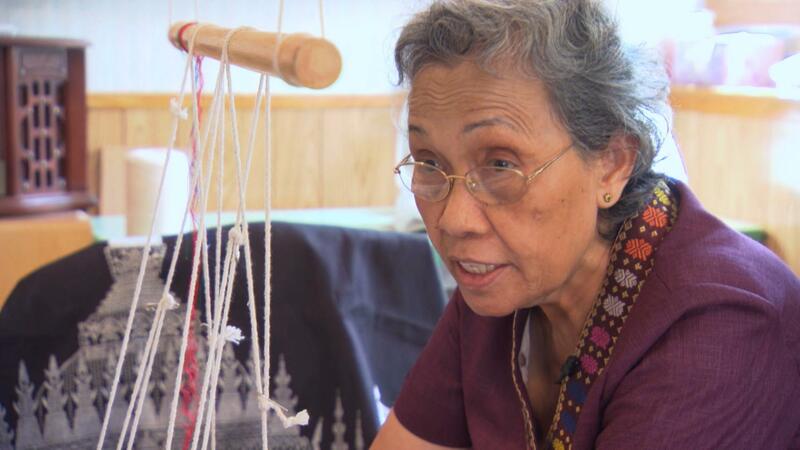 Bounxou Daoheaung demonstrates the beautiful, intricate, and painstaking process of Lao weaving. This is one way in which, she says, "The Lao culture can stay alive forever." Bounxou Daoheaung demonstrates the beautifully intricate process of Lao weaving.